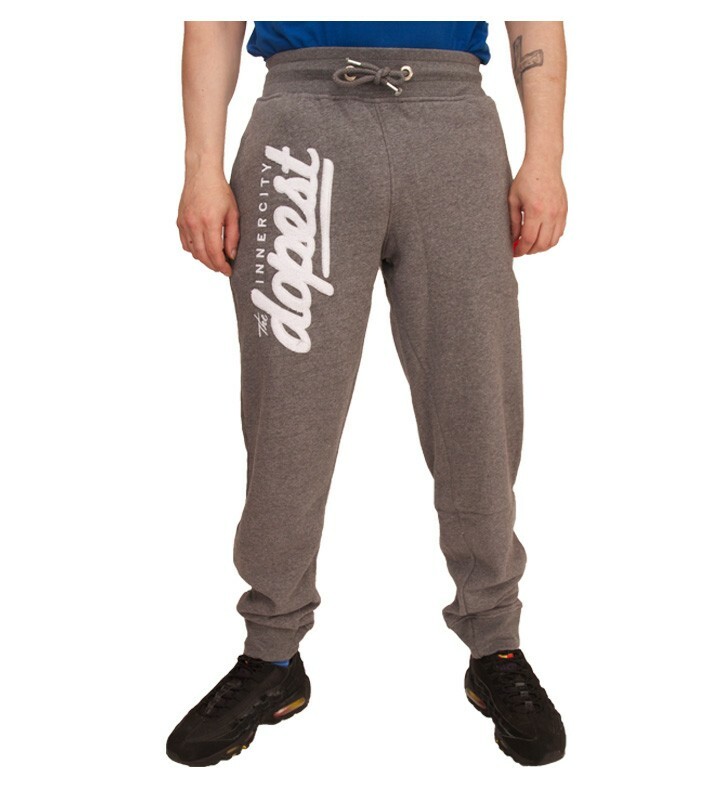 Innercity 'Dopest' Joggers - Urban clothing & apparel at Electrowear. These joggers are a cool & casual style from Innercity clothing brand. These joggers feature a drawstring toggle waist, they come with two side waist pockets & a zip pocket on the back, they come in a grey marl & have the words "Dopest" a favourite quote of Innercity! The Joggers carry various branding tags. The Dopest Joggers are made from 65% Cotton and 35% Polyester. Machine wash 30C. Do not tumble dry.